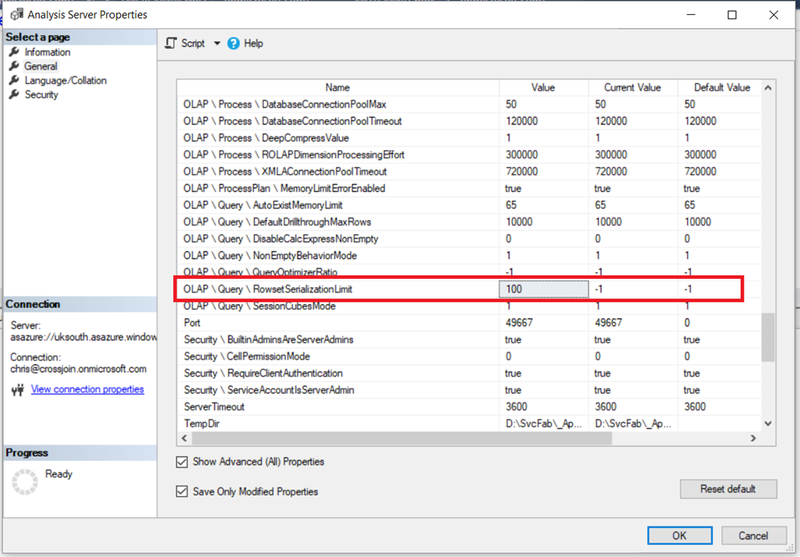 The recent blog post on the Analysis Services team blog about new memory options contained information about some very interesting functionality that has just been added. 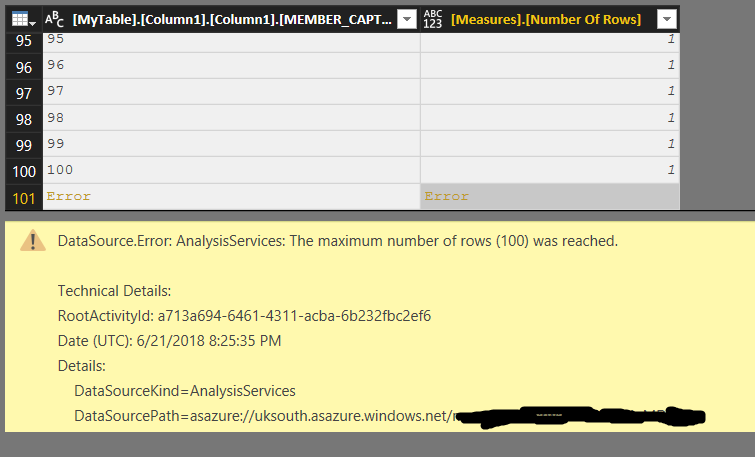 The first of the new features I decided to try was the RowsetSerializationLimit server property, which restricts the number of rows returned by a query and which is intended to stop rogue users running queries that return very large amounts of data. It certainly works but there are two things to point out about it that aren’t immediately obvious. The maximum number of rows (100) was reached. 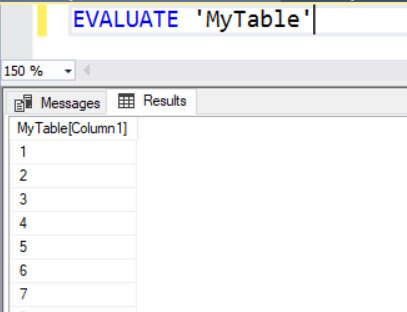 The important thing to understand is that although this applies to both DAX and MDX queries, it only applies to queries that are returned as rowsets (a tabular format) and not as cellsets (a multidimensional format). Most client tools that generate MDX, including Excel, use cellsets so this property will not apply to them unfortunately. Something else to point out is that this applies to all queries that return rowsets, even Discover requests and DMV queries. 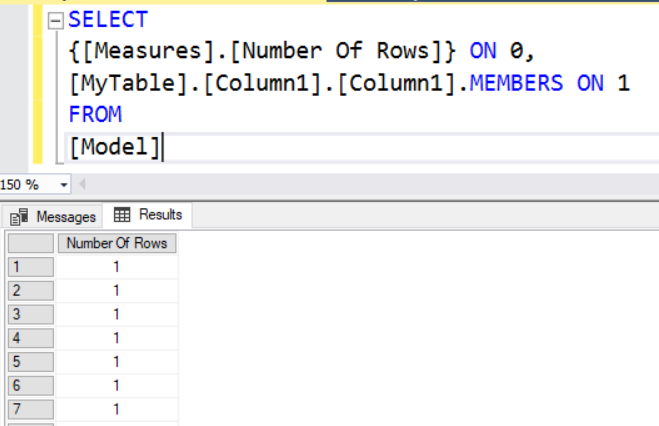 As a result, setting this property to a very low value can cause problems in tools like SQL Server Management Studio: for example if you set the property to 10 and you had 11 tables in a database, you would see an error when you tried to expand the Tables node of a database in the Object Explorer pane! 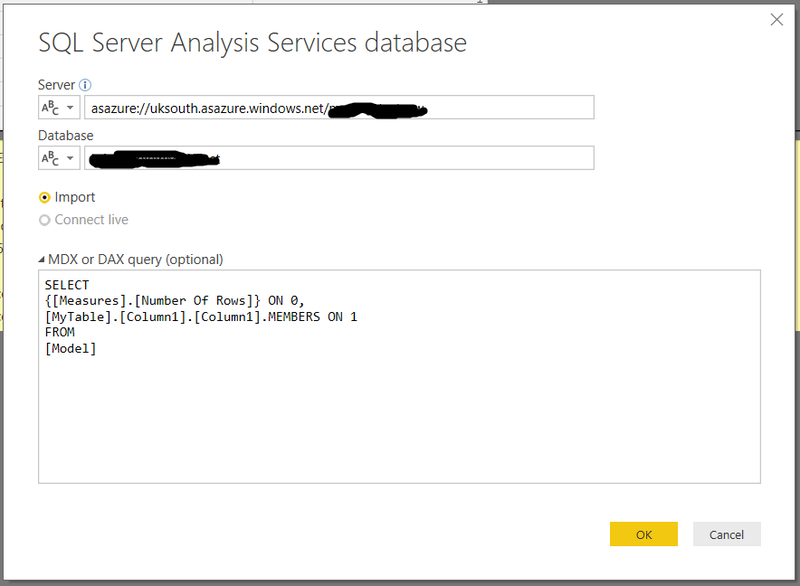 Even though this property only applies to rowsets I think it’s still going to be very useful, especially in scenarios where Power BI Desktop users are importing vast amounts of data from Analysis Services and causing major problems on the server.